Courtney: Think outside the toolbox this year. Ken: Our resident nerd on call, Ryan Eldridge is here, with tech gifts that Cody really wants on his big day. Wait a minute, how’d I get an X out of this? Cody: Let me go this way. Ryan: We’re just…we’re dancing, it’s fine. Ken: I don’t know what we’re doing. Ryan: Don’t worry about us. Cody: How do you turn this on? Where’s the button? Ryan: Well, this is kind of…well, you’re going out of order. Ryan: We were talking about “Ready Player One,” if you guys have seen that movie, it’s really fun. I had never tried it before, and sort of VR is sort of out of touch for most common people, right? I mean, it’s expensive, for an Oculus Rift it’s like $700 bucks. 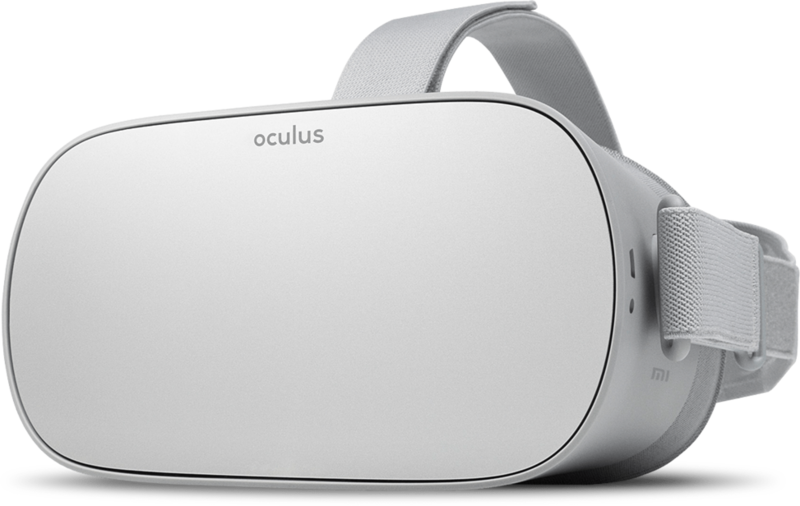 This is the Oculus Go, by Oculus, which is a Facebook company. This is only $199 bucks. So it’s super-cool. It’s got sort of the same engineering that a normal cellphone one has, like the Google Dream, I think it’s Dreamcast or something like that. Ryan: But it’s so fun. And there’s 1,000 games you can play in there. So it’s got the biggest library of VR content ever. So it’s only $199 bucks. Cody: Watching movies and television shows is quite fun on it, too. Ryan: Yeah, and like on Netflix, you get like a whole living room, and then this giant TV in front of you. Cody: It is pretty interesting. Ryan: But it’s a little isolating and you look like a dork when you’re using it, so…but that’s okay. Cody: I’m wearing a bow tie now. Ryan: Yeah. So the next one is the Sonos One. So, Sonos has got these great speakers that you can put in your house. You can have wireless sound, you can set them up as your home theater, but this is Alexa-enabled, which is super-cool, and this is only $199. So if you’re looking for an Alexa speaker, it’s comparable to the same price you’d pay for a regular Alexa, but you get the Sonos functionality, too, so you can have that wireless sound throughout your entire house. And here’s the cool part. Sonos never goes on sale, like, ever. Right now, if you buy them in pairs, you can get a bunch of discounts. So, only at certain dealers. So you can’t get them at, like, Best Buy, or things like that, so you gotta go online, check out sonos.com, you can get these super-cheap right now. This is the best time of the year to get them, so. Next, let’s talk about the Cocktail Courier box. Ryan: Sort of like…this is super-cool. Ryan: This comes in a bunch of different kinds of configurations. Cody: Ken could care less about everything else you’ve talked about, but this has…you got his attention. Ryan: This is the party box. This serves up to 24 drinks, and what they do is they come with different little recipes here, you can see what they’re supposed to look like. They give you exactly instructions on how to make it, all of the ingredients you need to make it, plus these cool little Happy Father’s Day. Cody: I like those glasses. Ryan: They look kinda nice, huh? So you can get these for as low as 40 bucks, or you can buy up to three months for $150, and you can get kits as small as two, for just two drinks at a time, but who’s gonna do that? Ryan: I mean, come on. Get the 24 drink one. Cody: Seriously. What are you thinking? Ryan: Think about yourself. You’ll be fine. All right, so last but not least, this is the Bose. This is $199. The reason I like these is because they’re totally wireless, so if you’ve got, like, the Apple Airpods or you’ve been thinking about getting the Apple Airpods, the best part about these is they’re sweat-proof, and they’re also water-resistant, so if you do a little bit of sports that’s gonna cause, like, some moisture, or you’re running in the rain or something, these’ll work much better than the Apple Airpods. These are fantastic and the sound is great. $199 for something like that. This is all on Cody’s Father’s Day list. Cody: All of it. All of it. Ryan: He needs this stuff. Cody: Yep. Need it. Need it. Ryan: Well, you need it, huh? Okay. Cody: I can’t watch Netflix sitting on my own couch. I need to get in a virtual world and sit on a virtual couch. Ryan: Well you put this on, you got your headphones on, you got your drink here, and you got your Sonos playing in the background like, you know? You’re done. Ryan: That is Father’s Day to me. Courtney: Now, you know y’all can’t concentrate on more than two things at a time. That is doing too much. Ken: What are you talking about? Ken: What you talking about? Ken: How come you’re not writing that stuff down? Write that down. Ken: And don’t front like you don’t know my address, because I got your Christmas card last year. I know you know my address. A recent highly reputable scientific study found that every time you buy your dad a tie or cologne for Father’s Day, a small but irreplaceable part of his heart breaks just a little. That’s not fathers talking. That’s science. At Nerds On Call, we feel it’s high time someone laid down a truth bomb for all the dads out there. Your dad’s too saintly and noble to say it himself, so we’ll make a stand and say it for him. Step away from the cologne! If you really want to show him you care, check out our list of tech gifts your Dad REALLY wants for Father’s Day. Pop quiz for you: Which do you think will go down better on Father’s Day morning? If you answered B, then look no further than the Oculus Go VR Headset. This ridiculously cool piece of virtual reality creating mayhem sits on your dad’s head and pumps over 1,000 games, social apps, and 360-degree experiences into his trembling eyeballs! One huge bonus: you can take hilarious pictures of him stumbling around the house while he fights virtual zombies. These elegantly beefy speakers can make even your dad’s weird taste in 70’s disco music sound amazing. 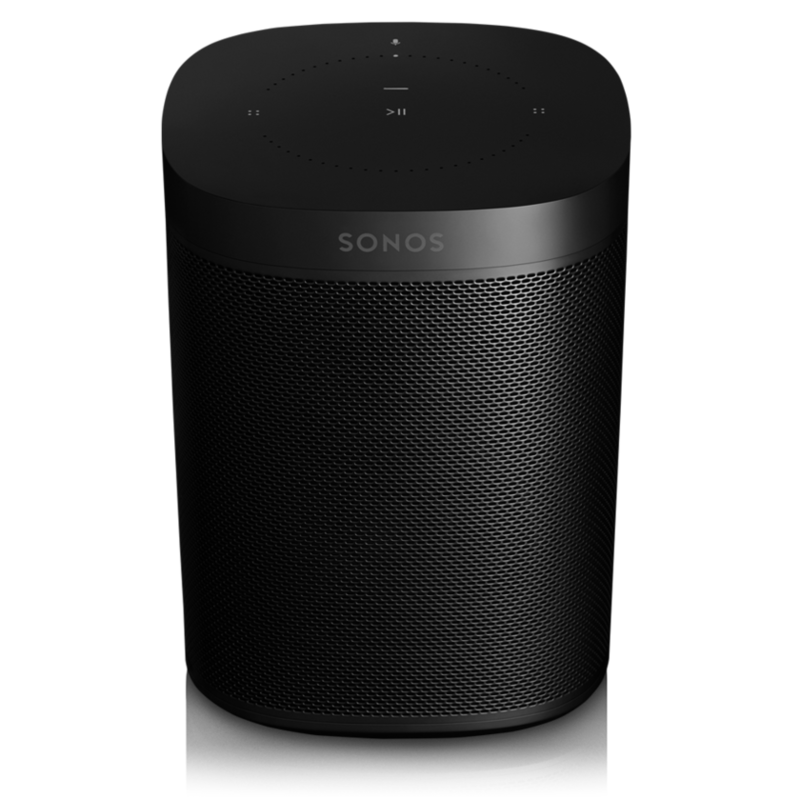 The beauty of the Sonos Wireless Sound speakers is that you can give your dad the gift of awesome, crisply booming speakers without also giving him a huge wiring headache. Just connect the Sonos up to a Wi-fi network and it’ll work anywhere in the house, hassle-free. The hidden bonus: This line of speakers will work with Alexa! Another Kodak moment, right there. Nothing says “I love you dad and thanks for giving me life” better than assorted alcohol! 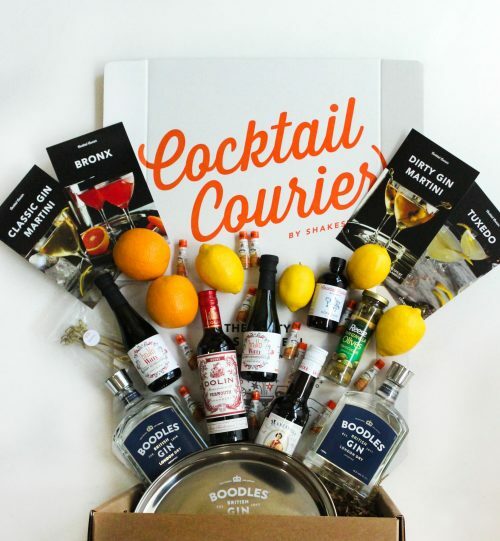 With the cocktail courier box or subscription, your dad will get all the drinks, mixers and cocktail making accoutrement he needs to be the life of the party. This kit comes complete with clear mixology instructions. Even a mildly soused father wearing a VR headset can follow them. You can opt for a one-off cocktail box which starts at $40 or you can go all out and set him up with a 3-month subscription. These start at $150. The hidden bonus for you: Ever wanted to get a photo of your dad with a pink cocktail umbrella tucked behind his ear? This may be your best opportunity to make that dream happen. Thanks to Bose, your dad need struggle no longer! 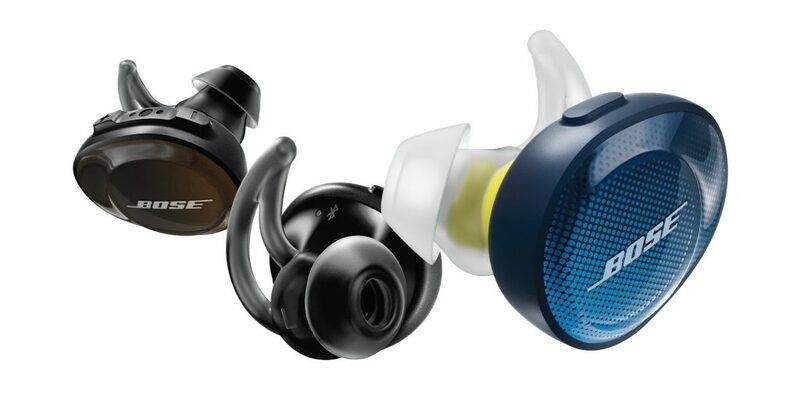 The Bose SoundsSport Free earbuds are specifically designed not to fall out of your father’s lug-holes (or anyone’s for that matter). Sweat, rain, vigorous dancing to obscure eighties electronica, it doesn’t matter. These things are going to stay put. The value add for you: They charge ridiculous-fast. Just 15 minutes charge time will give your dad 45 minutes of wireless listening. That’s 45 minutes on Father’s Day when you don’t have to listen to his weird music. Your dad’s too cool for a boring gift! Don’t break your dad’s poor old heart this Father’s Day (science, remember?) Say “I love you, Dad” with cutting-edge tech or a box of assorted drinks. He’ll love you for it. You might even get some epic photo opportunities.